Jaipur, 10 March: The State Government signed a Memorandum of Understanding (MoU) with the Federation of Indian Chambers of Commerce and Industry (FICCI) for organizing divisional level GRAMS (Global Rajasthan Agritech Meets). The MoU was signed between Director, Agriculture, Government of Rajasthan, Mr. Ambrish Kumar and the Deputy Secretary General of FICCI, Mr. Vinay Mathur on Thursday late evening at Krishi Bhavan in Jaipur. 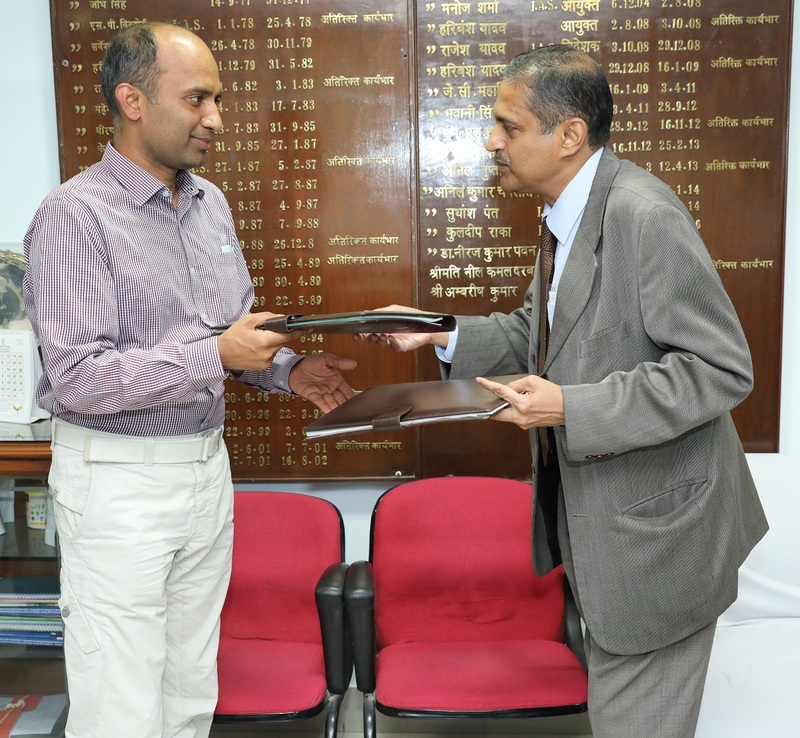 The MoU is for organising 3 GRAMS in the forthcoming financial year. They will be organised at Kota (May 2017), Udaipur (October 2017) and Jodhpur (January 2018). The Director Agriculture said that looking at the huge success of the ‘GRAM 2016’ which was held in Jaipur in November last year, the State Government had decided to organise such events at the Divisional headquarters as well. It is to be recalled that the Chief Minister, Smt. Vasundhara Raje had also announced the organising of the divisional level GRAMS in her budget speech on 8 March. As many as 30,000 farmers are expected to attend each of these divisional level GRAMS. The primary objective of these meets is to ensure economic empowerment of the farmers through accelerated yet sustainable growth in agriculture and to double farmer’s income by 2022. In addition to farmers, the GRAMS will showcase global best practices and best of technologies suited to the agro-climatic conditions of Rajasthan. It will also be an important platform for investors, manufacturers, academicians and researchers.